Present days critical infrastructures are connected to information and communication technology (ICT) for portability, convenience and remote control purposes. Although this process brings many advantages yet this usage of ICT for critical infrastructures also exposes them for potential cyber attacks. 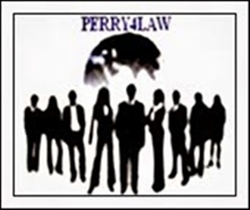 According to the Cyber Security Trends of India 2015 by Perry4Law Organisation (P4LO), Critical Infrastructure Protection in India (PDF) would be required in the year 2015 as India has launched projects like Digital India and Internet of Things (IoT) (PDF). Indian Government needs to work hard in this regard as cyber security challenges in India are very daunting in nature. The cyber security challenges before the Narendra Modi government are more demanding than its predecessor government due to heavy reliance upon ICT and technology. However, India is not yet prepared to deal with the same. We at Centre of Excellence for Cyber Security Research and Development in India (CECSRDI) believe that Modi government must urgently formulate the Cyber Security Policy of India 2015 as the previous policy is just a paper work with no actual benefits. Now here lies the real problem. Formulation of a techno legal framework and robust cyber security policy of India 2015 require tremendous techno legal acumen. Further, the actual implementation of the proposed 2015 policy would be even more difficult. This may be the reason that Modi government is shy in bringing any change in the otherwise outdated and redundant 2013 cyber security policy of India. Nevertheless, a call has to be made in this regard and immediate action is need of the hour. 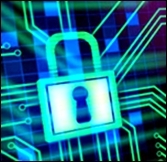 It is not the case the Modi government has not taken pro cyber security initiatives in India. Firstly, Modi government has appointed Dr. Gulshan Rai as the first chief information security officer (CISO) of India. Secondly, Narendra Modi has suggested to Nasscom that a task force be set up to solve the growing cyber security menace in India. According to Nasscom the taskforce would be constituted within a period of one month. Now it has been reported that the Grid Security Expert System (GSES) of India has been proposed to be developed by Powergrid. GSES would involve installation of knowledge based Supervisory Control and Data Acquisition (SCADA) system, numerical relays and Remote Terminal units upto 132 kV stations and the reliable Optical fibre Ground wire (OPGW) communication system at an estimated cost of around Rupees 1200 crores. The objective of the GSES is implementation of the Automatic Defense mechanism to facilitate reliable and secure grid operation. CECSRDI welcomes this move of Indian government. We have been advocating that a robust cyber crisis management plan of India is need of the hour. A crisis management plan for preventing cyber attacks on the power utilities in India has also been suggested by CECSRDI. We have also suggested that crisis management plan of India for cyber attacks and cyber terrorism is required. Power grids cyber security in India and its challenges are not much known as on date but awareness about the same is fast increasing. The present decision of Indian government to establish GSES is an example of the same. It has also been stated that the Computer Emergency Response Team-India (CERT-IN), Department of Information Technology, Ministry of Communication and Information Technology, Government of India has prepared a Crisis Management Plan (CMP) for countering cyber attacks and cyber terrorism. The CMP intends to prevent large scale disruption in the functioning of critical information systems of Government, public and private sector resources and services. A framework has also been outlined for dealing with cyber related incidents for rapid identification, swift response and remedial actions to mitigate and recover from cyber related incidents impacting critical national processes. In December 2010, Ministry of Power had constituted CERTs (Computer Emergency Response Teams) for power sector. 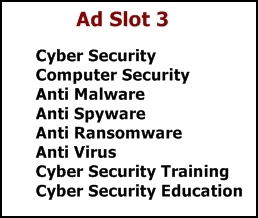 At CECSRDI we welcome establishment of these dedicated CERTs as they can manage cyber security issues in a better manner. For instance, CERT-Thermal (nodal agency- National Thermal Power Corporation (NTPC)), CERT-Hydro (nodal agency- National Hydroelectric Power Corporation (NHPC)) and CERT-Transmission (nodal agency- Power Grid Corporation of India Limited (PGCIL) can take necessary action to prevent cyber attacks in their domains. The State Power Utilities have also been advised to prepare their own sectorial Crisis Management Plan (CMP) and align themselves with the Nodal Agencies i.e. NTPC, NHPC & PGCIL and CERT-In for the necessary actions. Cyber security of automated power grids of India is need of the hour. It is only after a massive power blackout in 2012 that Indian government has woken up to the dangers of cyber attacks against Indian power sector. Based on the recommendations of the Enquiry Committee, constituted by Ministry of Power to enquire into the causes of the grid collapse of 2012, several measures like third party protection audit, review of Unscheduled Interchange mechanism, review of Central Electricity Authority transmission planning criterion, tightening of frequency band, coordinated planning of outages, development of islanding schemes, proper maintenance of under frequency relays etc. have been taken by the Government to prevent grid failures. We welcome these pro active efforts on the part of Indian government. However, it would be really interesting to observe what actual steps would be taken by Modi government to strengthen Indian cyber security. Till now Modi government has not come out with even a single cyber security related policy decision or initiative. These policy decisions and projects, with their own merits and demerits, are the legacy of Congress government. What Modi government would do in this regard is yet to be seen. We wish all the best to Modi government in the field of cyber security and other related projects.